We have an extensive collection of objects, tools and resources for all of your Foley needs, so you can be sure that that we will recreate the specific sounds (for every genre of production) in a most precise and realistic manner. You can depend on our well-equipped, professional space and our expert sound engineers to take your audio production to the next level. Looking to work on a turnkey project in hand? We can export your images from Avid®, Finalcut Pro® or from QuickTime®, with your integrated sound mix, and in all video formats. In addition we can insert computer graphics, supers and subtitles for persons who are hearing-impaired. We have an extensive « bank » of voice actors, narrators, cartoon and dubbing actors that will give you a choice to work with some of the best artists in the business. We can also take care of all the talent coordination, booking and also administer the ACTRA and UDA contracts for you. If you’re voice talent in need of an excellent studio to record an important audition we have the professional space, state-of-the-art-equipment and experienced sound engineers that will facilitate optimum results for your audition. Our coordinators will be happy to work with you to make sure your final audition product will give you a greater chance in the casting process. We can help you with the distribution of your radio and TV commercials in a variety of formats as well as provide you with as many CD, DVD copies as you need. Our “CineZone” studio lets us provide you with professional closed captioning to image services. We have dubbing studios equipped with the latest Dub Studio ®software. 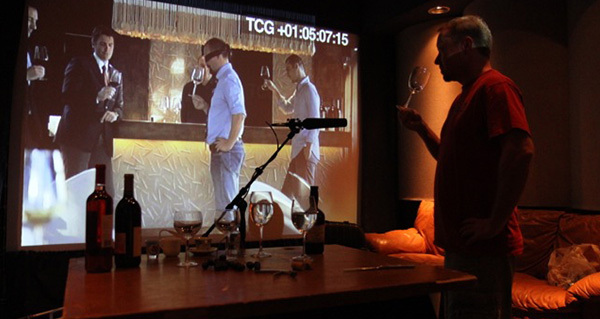 In addition we offer coordination services to help you organize your translation and subtitling sessions.